Mrs. Martha Frances Buckner Nolen, age 73, of Vanceburg, Kentucky, passed away Monday, October 22, 2018, at Southern Ohio Medical Center in Portsmouth, Ohio. She was born May 15, 1945, in Lewis County, Kentucky, a daughter of the late Walter and Della Bloomfield Buckner. Martha was of the Pentecostal faith and she enjoyed working in her flowers, gardening, and spending time with her family and friends, especially with her grandchildren. In addition to her parents she was preceded in death by her husband of 53 years, William Nolen; one son, Ronnie Gene Nolen; six brothers, Donald Buckner, Dave Buckner, Clayton Buckner, Robert Buckner, Ottis Buckner and Jack Buckner; and one sister, Betty Nolen. 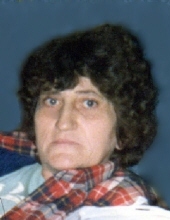 Martha is survived by one daughter and son-in-law, Brenda and Paul Stone of Vanceburg, Kentucky; three grandchildren; seven great grandchildren; two brothers, Gilbert Buckner of Toledo, Ohio, and Wilford Buckner of Camp Dix, Kentucky; and one sister, Mary Lou Polley of Olive Hill, Kentucky. She also leaves many other family members and friends who will sadly miss her. Funeral services will be held at 1 p.m. Sunday, October 28, 2018, at Dickerson Funeral Home in Vanceburg, Kentucky, with Brother Tommy Parks officiating. Burial will follow in the Morgan Cemetery in Lewis County, Kentucky. Friends may visit from 6 p.m. to 8 p.m. Saturday, October 27, 2018, and after 11 a.m. on Sunday at Dickerson Funeral Home, 110 West Second Street, Vanceburg, Kentucky 41179. "Email Address" would like to share the life celebration of Martha Frances Buckner Nolen. Click on the "link" to go to share a favorite memory or leave a condolence message for the family.